Totally Led Ministries - Reducing the violence in Richmond and direct the youth of the area to options besides drugs and violence. 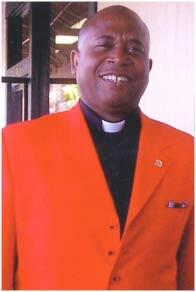 ABOUT TOTALLY LED MINISTRIES: Totally Led Ministries (TLM) was the vision of its founder and executive director Rev. George Brown who saw the need for the clergy of Richmond, California to come together for a common cause. TLM�s goal is to help reduce violence in Richmond, and direct youth of the area to options other than drugs and violence. Also, since its inception in 2001, writer/director Beverly Brown was inspired to write stage productions which address social issues from a Christian standpoint. She has been successful in capturing diverse audiences in her four stage productions, How It In Hell, Caught Up, TOUCH! and currently For Every Mountain. ABOUT GRACE BAPTIST CHURCH: Grace Baptist Church is located in the heart of East Oakland, California and is lead by the Anointed Pastor Charles L. Hopkins. Grace Baptist Church faithfully serves the community through its Acts of Grace Food Pantry, which has been rated Number One in Alameda County, D&R Covenant Home, and Grace Scholarship Ministry, to name a few. �For Every Mountain� is a stage production about a modern day �Job�, who experience forces her to face mental and emotional health issues that are often hidden, overlooked and often times not addressed in today�s society. Grace Baptist Church and Totally Led Ministries have collaborated to present this production is hope that people are compelled to face their own �mountains� through faith, praise and professional services, if needed. Also, since its inception in 2001, writer/director Beverly Brown was inspired to write stage productions which address social issues from a Christian standpoint. She has been successful in capturing diverse audiences in her four stage productions, How It In Hell, Caught Up, TOUCH! and currently For Every Mountain.